Daphne Jacqueline Postill (Daphne bholua 'Jacqueline Postill') is a member of the Thymelaeaceae family that grows in the gardens of Nuffield College. Daphne comes in many varieties, but this is a really showy one. It is upright and more or less evergreen, and given the right conditions it will grow to 2.5 metres tall and around 1.5 metres wide. 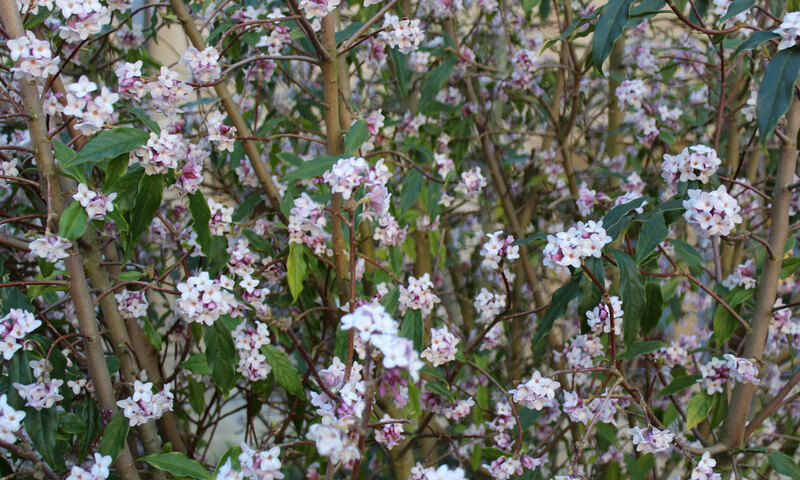 Its real selling point is the heavily-scented purplish pink flowers that appear in late winter, often followed by black berries. 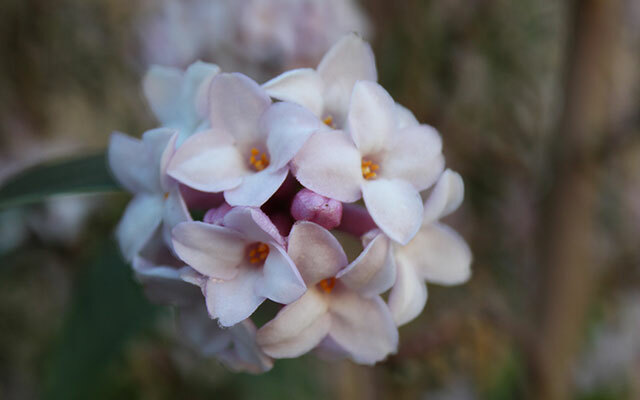 Daphne can be a little temperamental; it needs soil that is moist but free-draining and fertile. It should be in a sheltered spot with full sun or partial shade, ideally south- or west-facing. When establishing Daphne, be aware of wind rock which can allow water to pool at the base of the stem and cause the plant to fail. The plants also don’t like the soil being trampled around them. The most reliable way to propagate them is by grafting.